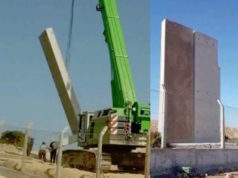 Rabat- A fence along Morocco-Algeria borders is being built due to tension between the two countries Nations. 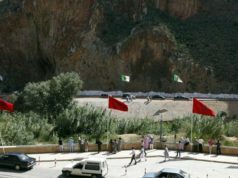 The Moroccan government is in the process of building a 100-kilometer fence along the Morocco-Algeria border as a result of the complicated relationship between the two countries, which have closed land borders since 1994, when Morocco made visas a requirement for Algerian travelers. 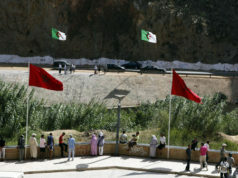 Commenting on the fence for the first time, Moroccan Prime Minister Abdelilah Benkirane said on Tuesday that the fence finally came to be following “differences” between Morocco and Algeria. The only other time that the fence has been discussed publicly was last July, when Interior Minister Mohamed Hasad blamed “terrorist risks” for its implementation. Morocco has repeatedly accused Algeria of being the source of the illegal hashish, contraband gasoline, and psychotropic substances found in the country. In addition, Morocco criticizes Algeria’s regulation of irregular emigration and its tolerance for Syrian and other Sub-Saharan emigrants to enter the country. The Moroccan government is also working on adding another 14 kilometers to the fence.